also used for automatic doors. 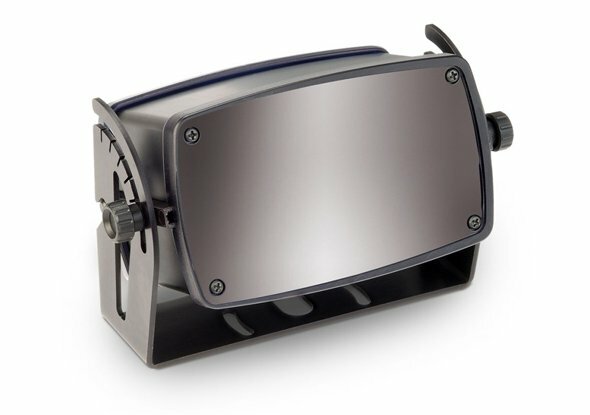 Our long experience, combined with progressive planar technology, gives Herkules 2E a considerable range of functions and reliability. 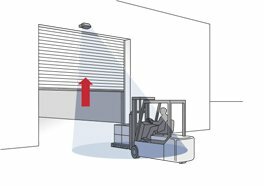 Statically running objects like forklifts and other internal means of transport are detected with the help of a motion radar. 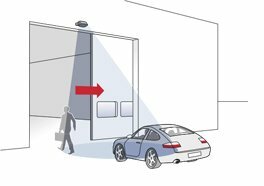 The Bircher Reglomat Herkules 2 is an efficient radar that is used for opening automatic doors. 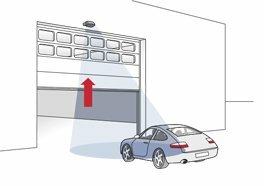 The biggest benefit of this radar is that it only detects moving objects. Read more about Herkules 2 in this application example. 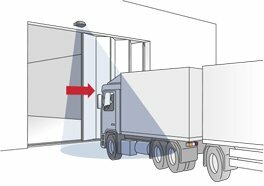 With people detection the industrial door will only open part way.